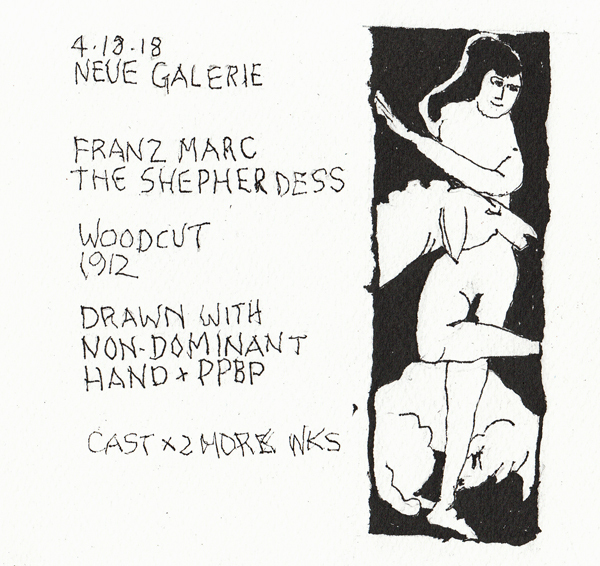 My cast is off, and my "Non-Dominant Hand Drawing Sketchbook" only has one more empty page. But I definitely need physical therapy to use my dominant hand without pain. Yesterday was my first session of 6. 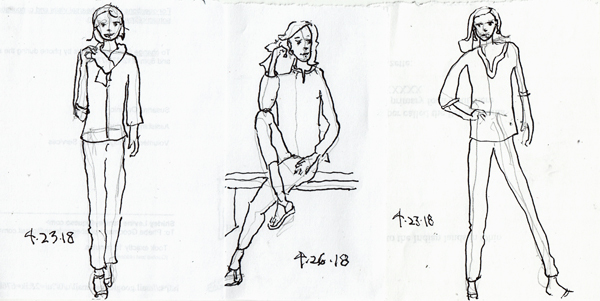 These were "line of action" drawings done over 3 days, after my breakfast. 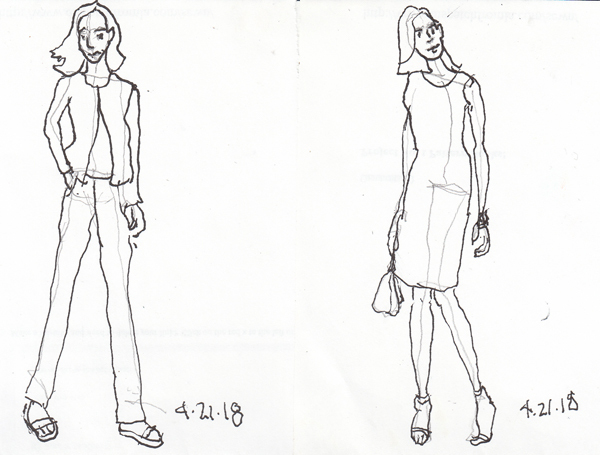 I will probably continue these, but really need to try to capture people in action, not just still photo images, now that the weather is nicer. I also miss painting with colors, and need to paint several spring flower drawings that are in my watercolor sketchbook. 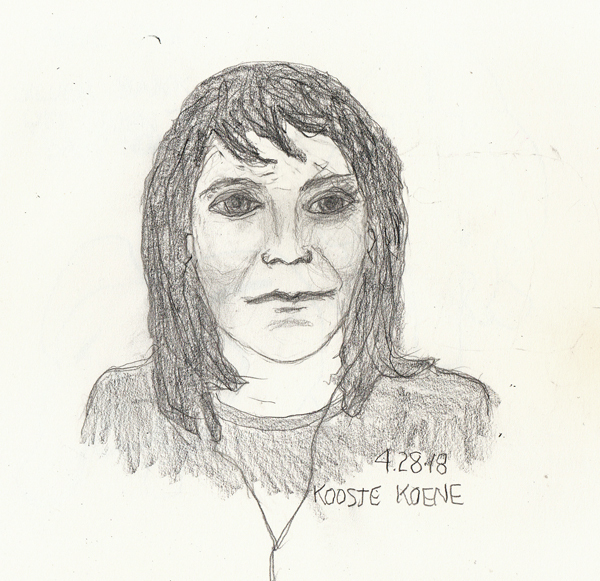 Koosje Koene: It was great watching Koosje do a session in Sketchbook Revival. I used an 05 graphite mechanical pencil to draw her while she talking and a Sketch and Wash pencil without water to add graphite to her blouse. 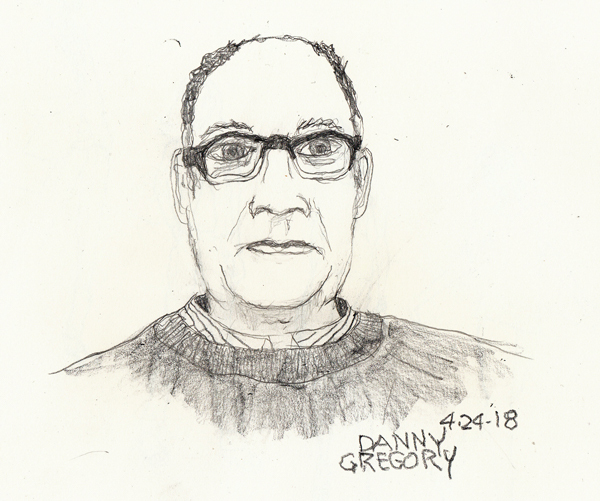 This sketch and the one of Danny Gregory were my greatest challenges while drawing with my non-dominant hand. 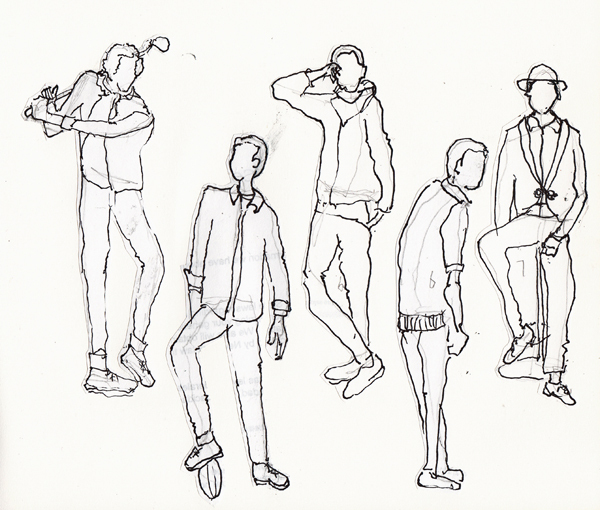 I am a regular student in Sketchbook Skool, and love them both. My cast will probably be removed on Thursday, and then I'll need some PT. 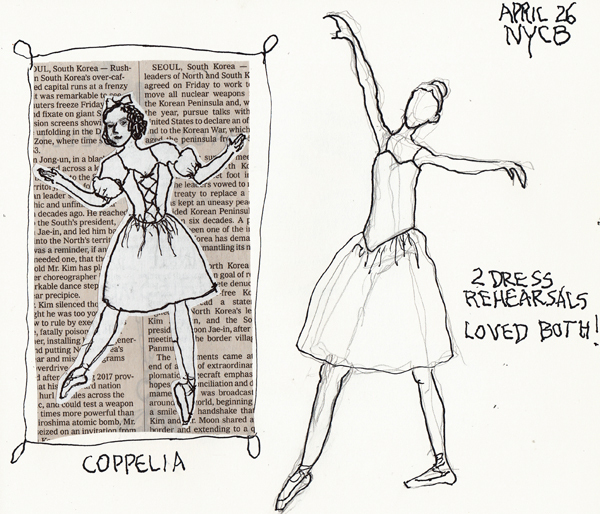 New York City Ballet Dancer and Coppelia doll drawn from Programs when we went to 2 wonderful dress rehearsals last Thursday. 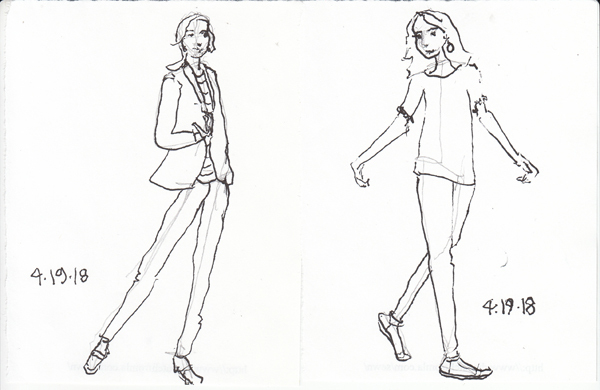 The company dancers and the choreography was so fast that a quick sketch from observation was impossible, especially in the dark! 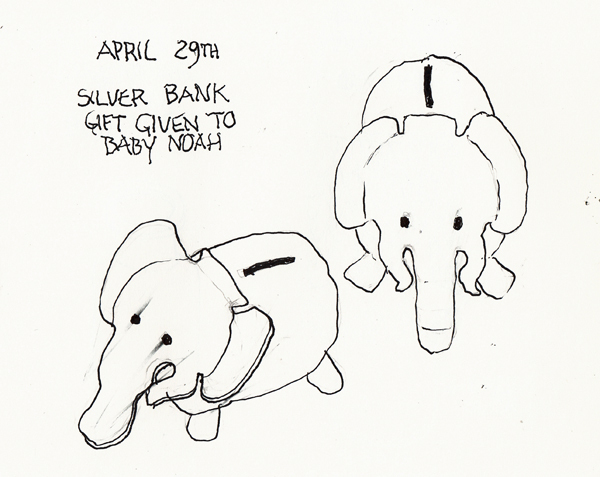 Silver Elephant Bank, a baby gift for our first child many, many years ago: I'm surprised that it escaped my attention for the many years that I've been drawing household items. 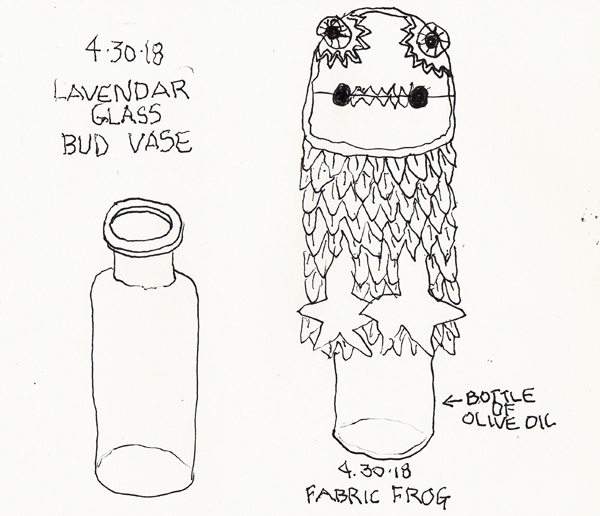 Two bottles from our kitchen for my after-breakfast sketching: And I needed practice drawing straight lines.